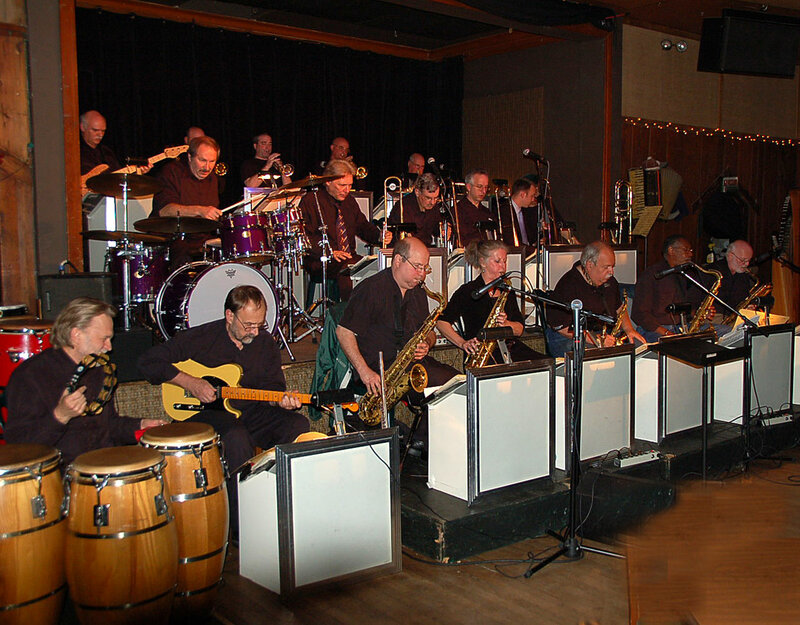 Chicago Grandstand Big Band has been an integral part of Chicago's entertainment community for over 30 years. 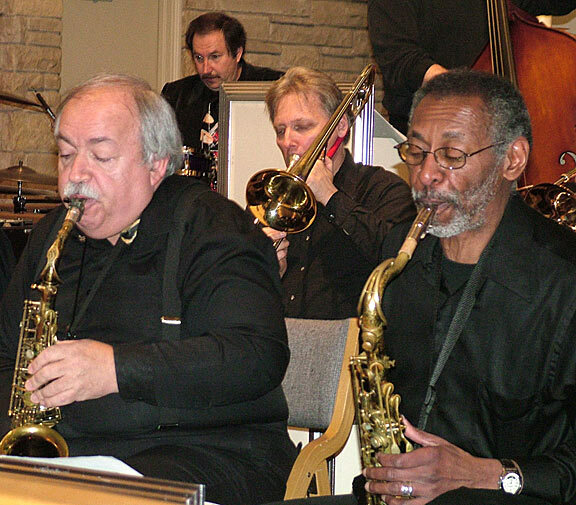 They have performed all over the Chicagoland area, including Joe Segal's Jazz Showcase, FitzGerald's, Joe's Be-Bop Café, Grant Park Summer Dance, and numerous street fairs. They performed at the 25th anniversary of the Sears Tower. This band has been featured on WTTW's Wild Chicago and for many years, CGBB was the featured band at O'Hare Marriott's New Years Eve Ball. Members of the group have performed with the Count Basie, Maynard Ferguson, Tommy Dorsey, Les Elgart and Duke Ellington orchestras. This band has an extensive selection of arrangements that encompass’ everything from the Swing Era (Benny Goodman, Glen Miller, Artie Shaw, etc) to Big Band Jazz (Count Basie, Stan Kenton, Duke Ellington, Woody Herman etc.). Vocals include great standards such as "When I Fall In Love," "Orange Colored Sky," and "It Had To Be You." The featured vocalist is Julie Ann Caselli, whose unique vocal style, along with her warm and friendly rapport with the audience, is truly a show in itself. Other tenured members include drummer Bill Byan, whose performance on "Sing, Sing, Sing" rivals the original. Trumpeter Nick Drozdoff, alto saxophonist Mike Cosentino, and tenor sax man Vins Johnson offer exciting performances on their respective instruments, as well. Grandstand Big Band also supports the Chicagoland Big Band Jazz Society which meets on Sundays at FitzGerald's during "Big Band Sundays". They are in a cooperative venture with FitzGerald's and all the Big Bands that play every Sunday at FitzsGerald's. Trombonist / music director Bill Gilardon has been involved with this great band almost from it’s inception. He likes this group of "18 musically infested guys" to focus on performing as much classic big band repertoire as possible, including a rare performance of the Artie Shaw Clarinet Concerto. They have performed children's Christmas concerts (with special guest star Santa Claus!) to help expose younger audience members to big band music and have also been very active with some of the local school districts by inviting their jazz ensembles to open and perform with us at FitzGerald's, thus keeping in harmony with the CGBB mission "to reach out to all ages." Chicago Grandstand is one of the featured bands at FitzGerald's, 6615 W Roosevelt Rd. in Berwyn, IL. Call (708) 788-6670 for dates and times, or visit our "Performances" page for the latest updates, directions and map. Fitzgerald's is casual, and is located 1/2 mile south of the Eisenhower Expressway (I-290) and about 1/2 mile east of Harlem Ave.